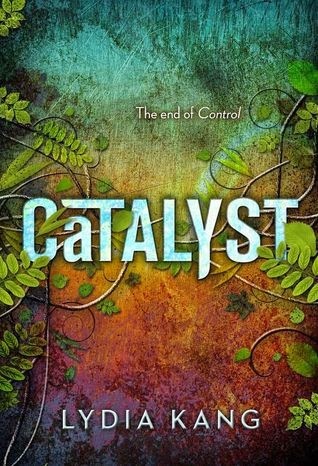 I was really happy to read Catalyst right after Control because after the end Lydia Kang left my heart in a little bit of a lurch. I thought the first book focused on a lot of Science, I felt like this one really focused on the political aspects of their world. What it means to be someone with genetically altered genes and how everyone else sees you. It was crazy to get more insight into Zelia and Dylia’s dad and also their mother. Some things I did not even guess honestly but made complete sense when they were laid out in the book. The gang is forced to flee Carus house and head towards a rumored safe house in Chicago. This causes them to have to split up in order to get there safely. It was really different to have Zel travel with a new band of companions. I felt like when we reunite with some of the others I felt like it was weird. Zel on her way ends up finding herself in Inky and a whole different kind of mess/imprisonment. I think it was probably the most creeped out that I have felt for the two books. It was one of those odd places where they are well taken care of physically but emotionally it was awful. Zelia really kind of comes into herself in a different way. She accepts who/what she is and realizes that maybe running is not the answer. I love how she encourages everyone to embrace who they are instead of feeling damage or misplaced. She becomes a leader without realizing that’s what she is doing. Zel and Cy find each other again but there is a little bit of struggle to their relationship. They still love eachother but they have been apart for a year and different things have happened to them. So it’s almost like they have to figure out their place again combining old and new. I hated Blink from beginning to end. I just needed to get that out there, I don’t care if she’s good, bad or orange. What she convinced Cy to do makes my blood boil. I can relate because of one of my siblings so I was just so angry. I loved the addition of so many different characters. I don’t want to give away who they are or what their different talents are but it was fun to see the world expand. I thought this was such a great sequel to the first book. I felt like it focused on a little bit different aspect so things could come together seamlessly at the end. Which I thought the ending was perfect. This was really a great Sci-Fi series and I highly recommend it.